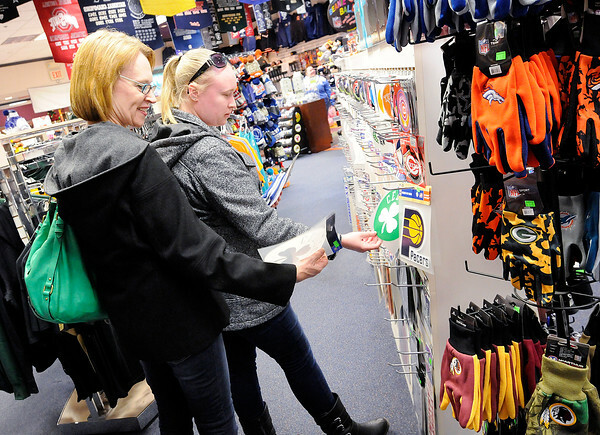 From left, Sue Eicher and her daughter Annie shop at Squeeze Play in the Mounds Mall on Saturday. Colts fans from Ohio the Eichers were in town for their annual mother daughter trip to a Colts game. Since it's hard to shop for Colts merchandise in Ohio they were picking up a few items for themselves along with some Christmas gifts.